The Breakdown: How Would Healthcare Reform Affect the Economy? How will healthcare reform affect the economy? This week on The Breakdown, Christopher Hayes talks to Ezra Klein to correct the misperceptions. With the recent bipartisan healthcare summit, the rebirth of the public option and yesterday’s announced deadline for passing legislation, all anyone in Washington can talk about is the continued battle for healthcare reform. Yet, despite all the jabbering, or perhaps because of the endless spread of misinformation surrounding the debate, it is difficult to see how much the bill could affect our economy. 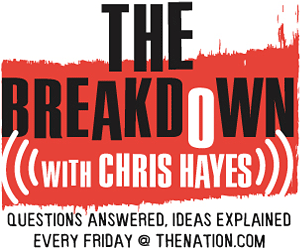 On this week’s The Breakdown, DC Editor Christopher Hayes brings in Washington Post columnist and resident wunderkind Ezra Klein to break down a few particularly pernicious claims being made about healthcare reform. Reforming Health Care chapter from the Economic Report of the President, as prepared by the Council of Economic Advisers.